Lavin's Radiography for Veterinary Technicians, 6th ed. 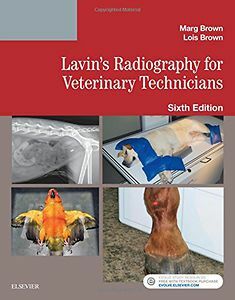 Make sure you understand and know how to use the very latest diagnostic imaging technology withLavin s Radiography for Veterinary Technicians, 6thEdition ! All aspects of imaging - including production, positioning, and evaluation of radiographs - are combined into this comprehensive text. All chapters have been thoroughly reviewed, revised, and updated with vivid color equipment photos, positioning drawings, and detailed anatomy drawings. From foundational concepts to the latest in diagnostic imaging, this text is a valuable resource for students, technicians, and veterinarians alike!